PCMS Design attend LABC Building Excellence Awards Grand Finals! PCMS Design was absolutely delighted to win an Award at the Central Region LABC Building Excellence Awards ceremony in April this year, which was presented for the ‘Best Partnership with a Local Authority Building Control Team’. This was in recognition of the close links we share with our partnership authority, Central Bedfordshire Council. Last night PCMS Design’s team attended the national LABC Building Excellence Grand Finals, where the winners of 2016 regional awards from around Great Britain assembled to find out who was the overall winner of each category. 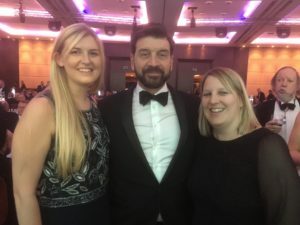 Hosted by TV presenter Nick Knowles, the huge ceremony took place at Park Plaza Westminster Bridge Hotel and was attended by around 750 construction and building control professionals. We gathered together with some of the key members of Central Bedfordshire Council as the Awards were announced, which officially recognise excellence in the profession. Although not a national award winner of the ‘Best Partnership’ category we were all thrilled to attend, and are now looking forward to entering two of our projects for the 2017 Awards. This entry was posted in Building Excellence Awards, LABC on November 29, 2016 by admin. This year has seen the completion of a number of site development projects at Denbigh High School in Luton, four of which we have been involved with. 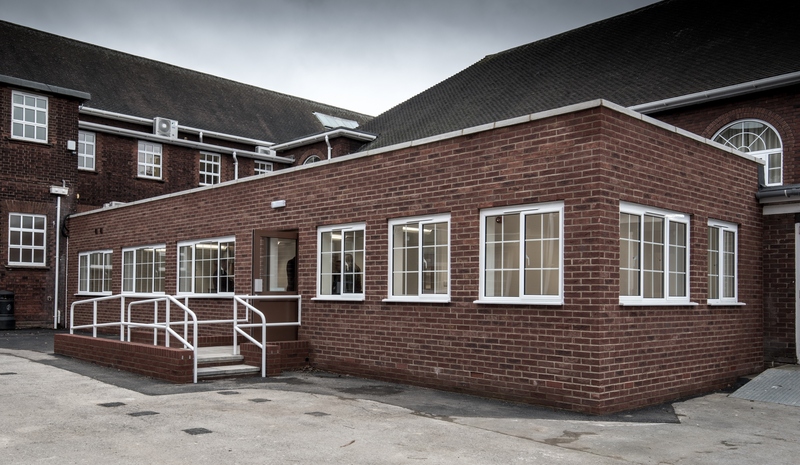 The latest to reach completion is the construction of an extension at the rear of the main school building to provide a larger area for the Chiltern Learning Trust administration team. There were a number of technical challenges to overcome in order to extend out from the existing two-storey building, which dates from the 1930s and has distinctive windows, some of them arched. 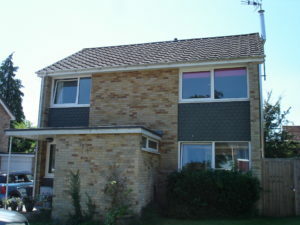 We therefore designed a flat-roof extension including windows with glazing bars which harmonise with those around it. We obtained planning permission and building control approval for the new block and project managed the build. Inside, there is a new open-plan office for staff, together with three separate office and meeting rooms, new toilets and a delivery room, all of which meet the aspirations of the Trust’s expanding administration team. This is part of a longer-term aim to establish a central hub for the Trust in order to rationalise support services. This entry was posted in Bedfordshire, construction, Denbigh High School, extension, planning permission, project management, refurbishment, renovation, School Construction, school extension on November 28, 2016 by admin. Our residential clients in the Buckinghamshire village of Walter’s Ash were delighted this week to hear that planning permission has been granted by Wycombe District Council for a two storey front extension to their home. The homeowners were keen to gain more space upstairs for a larger master bedroom and new en suite bathroom, and also to reconfigure the downstairs spaces, including a desire for a larger entrance allowing improved circulation for their growing family. We suggested that the floorspace already occupied by a front porch could be better utilised, and that a two storey extension coupled with a modest amount of internal alteration, would allow the family’s aspirations to be met. In parallel with the planning application, we provided technical details to Thames Water to secure a ‘Build Over / Build Near Agreement’. Our designs have now received planning permission, and our clients hope to start work on the extension as soon as possible. 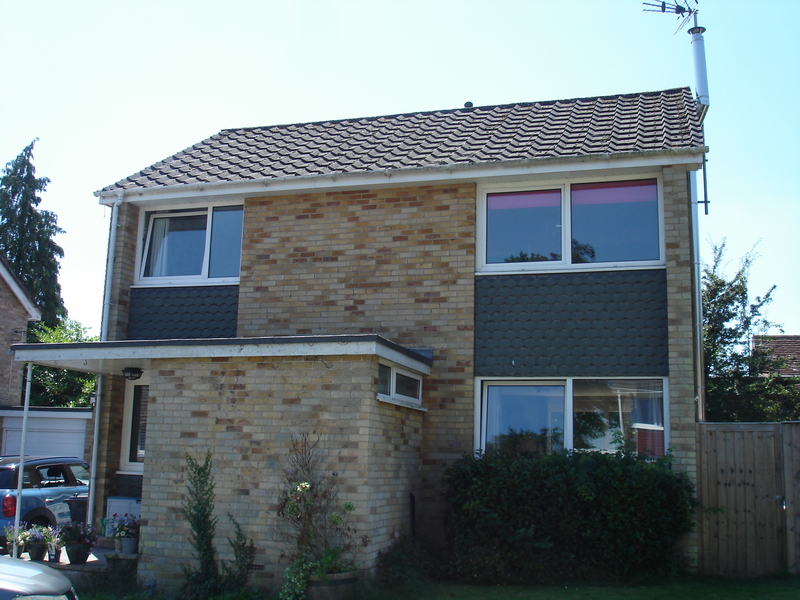 This entry was posted in Buckinghamshire, Build Near Agreement, Build Over Agreement, design, extension, Front extension, planning permission, Residential on November 3, 2016 by admin.